Astonishing Things About The 2011 Viral Wonder “Kolaveri Di”, Will Blow Your Mind! In 2011, the song Kolaveri Di, sung by South star Dhanush made a loud echo with it’s weird lyrics “Hand la glass, eyes-u full aa teaar-u” or “White skin-u girl-u girl-u, girl-u heart-u black-u“. Well, we can say at first it was the curiosity of the people that made the song go viral. But, after the garnering millions of view on youtube the song have been on the mouth of music lovers for months. So, to recall the success of this musical masterpiece, here I have listed few behind the scene talks about the song, that will surely give you some interesting point to again start the discussion of the song. 1. The Song Is About Love Failure. We all have heard 2011 hit song Kolaveri Di, but very few of us know that the line “Why This Kolaveri Di” literally mean “Why do you have this murderous rage against me girl?” though, the tone of the song is humorous. But, it the lyrics is intended to point the young men emotions after experiencing a failure of a beautiful relationship. For the very first time Dhanush performed this song or any song live at the 2011 Big Star Entertainment Awards. This song also became the first Tamil movie song to premiere on MTV India. 3. A Viral Rage Across Asia. YouTube honoured the video with a ‘”Recently Most Popular” Gold Medal award and “Trending” silver medal award for receiving millions of views in few weeks of release. 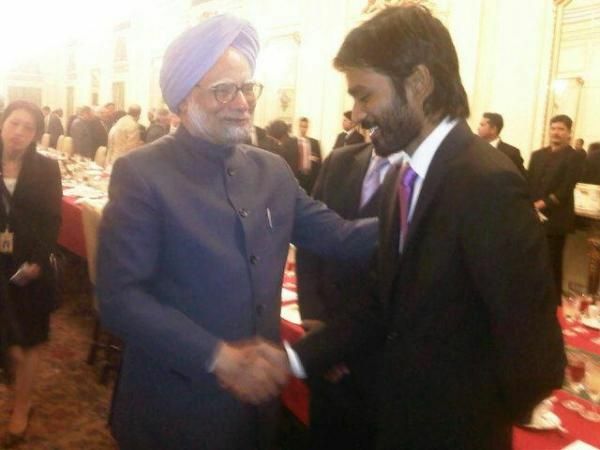 Receiving a huge success and nationwide popularity, Kolaveri Di echoed at Beating, the Retreat ceremony (a ceremony which is a part of Republic Day celebrations in India) and then Indian Prime Minister Manmohan Singh invited Dhanush for the dinner party along with Japanese Prime Minister Yoshihiko Noda in his New Delhi residence, India. 5. The Word Player In Dhanush Played A Fantastic Part. With portraying a light spirit of Tamil Street Humour the song was written in about 20-minutes of brainstorming, Dhanush wrote the song in broken English, as a Tamil have a limited English knowledge. 6. The Song With Folk Masterpiece Composition. The song was composed in a downtempo with music was built around an ancient south Indian folk rhythm using ancient folk instruments. Nadaswaram, shehnai, saxophone urumee and thavil drums, acoustic guitar, keyboards mixed with electronic synths and scratches. The singing style of Tamil folk culture. The top Indian Business schools like Indian Institutes of Management conducted studies to research and analyse the reason behind the popularity of this song. Javed Akhtar, a lyricist, poet and scriptwriter of many top Bollywood movies, slammed the use of words in the song. Even in Kerala High Court, a petition was filed to ban the song stating the negative influence on children.